Disposable water bottles are so convienient but are awful for the environment and can be loaded with BPA's. The solution? Algae. These water bottles aren't going to clog up landfills or take up huge amounts of oil to produce. In fact, they're completely biodegradable and all natural. Ari Jónsson, a product design student at the Iceland Academy of the Arts, has designed water bottles made completely out of red algae powder. He exhibited these clever bottles at this year's DesignMarch, an annual design competition held in Reykjavík, Iceland every March. The festival, organized by the Iceland Design Centre, brings together everything from fashion to furniture to food design. As Jónsson told Dezeen, "I read that 50 per cent of plastic is used once and then thrown away so I feel there is an urgent need to find ways to replace some of the unreal amount of plastic we make, use and throw away each day. Why are we using materials that take hundreds of years to break down in nature to drink from once and then throw away?" Jónsson mixes the red algae powder with water and pours it into a mold. Once the bottle's finished, you have to fill it as soon as possible. After all, as long as the bottle contains water, it'll keep its shape. As soon as you're done, however, the bottle starts to decompose. 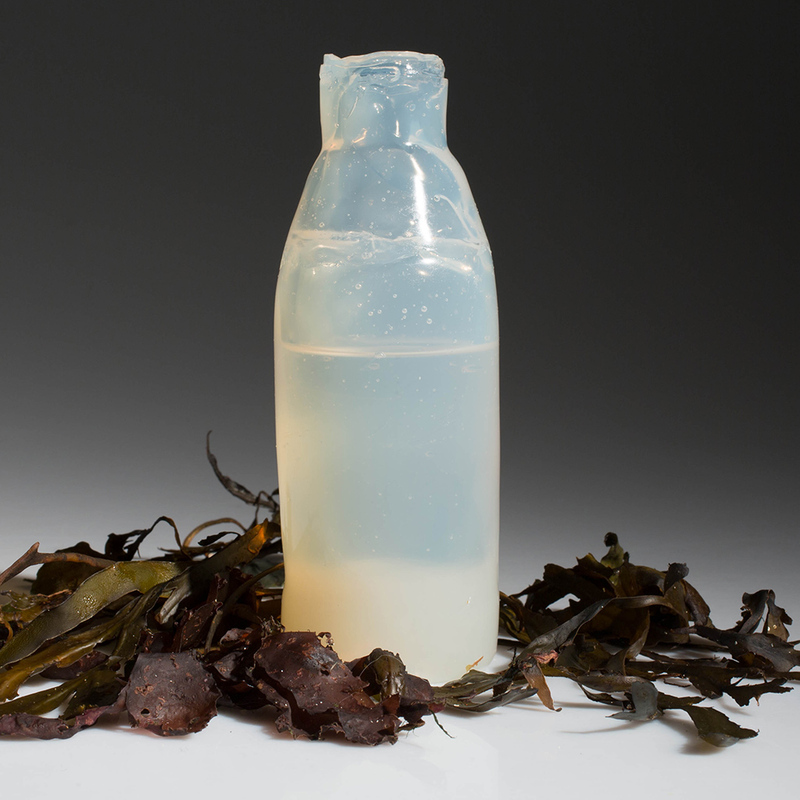 Algae may be a little less predictable than plastic as far as casting the perfect bottle is concerned, but with Jónsson's method, it's super easy to check the bottle for holes or leaks, patch them up, and recast the bottle. They're basically the perfect water bottles. Finally, a water bottle you won't feel guilty about.